The 2015 Four Winns TS222 is our first sea trial with Forward Drive, which turns this runabout into a wake surfing machine. 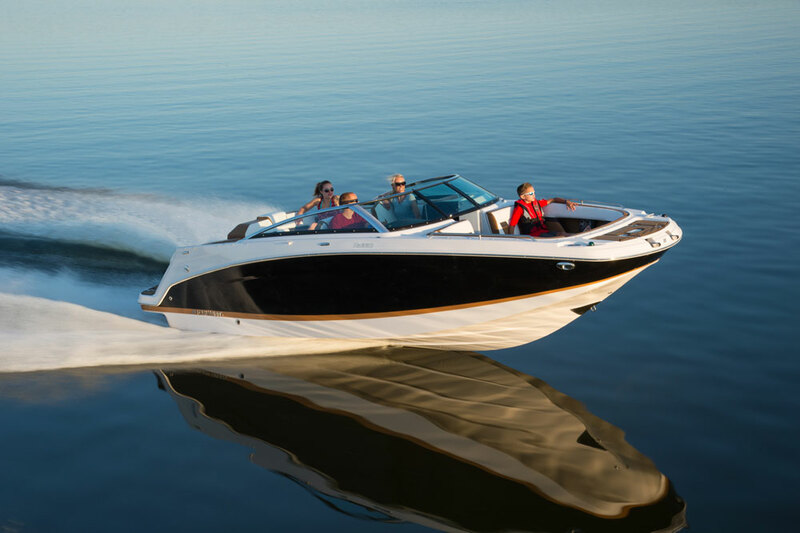 The 2015 Four Winns TS222 is the first stern drive powered runabout that can truthfully claim to be a competitive wakeboarding and wake surfing boat. The reason? 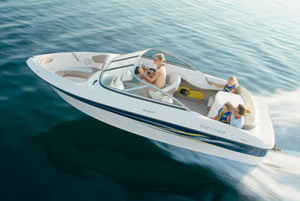 Volvo Penta's new Forward Drive, which is an all-new stern drive system. It moves the propellers 27 inches forward, so they're safely tucked up well forward of the swim platform. And wake-making ability is also enhanced. Join reviewer Charles Plueddeman for a close up look at the Forward Drive and then a quick sea trial, to see for yourself how well it works. As you can clearly see in the video, the wake created by the TS222 Forward Drive combination is crisper and cleaner than those made by other stern drives. During the course of the Miami Boat Show, we watched a surfing pro slice back and forth across it, and several of our editors took the boat for a test run. While everyone agreed that the wakes are awesome, even more important is moving that prop forward. In the past, wake surfing behind a stern drive boat was a no-go, because if you fell forward, you could conceivably fall right into the propellers. With the Forward Drive, however, you'd have to somehow fall underneath the swim platform. It's not surprising that Volvo Penta was the company to develop this drive system. 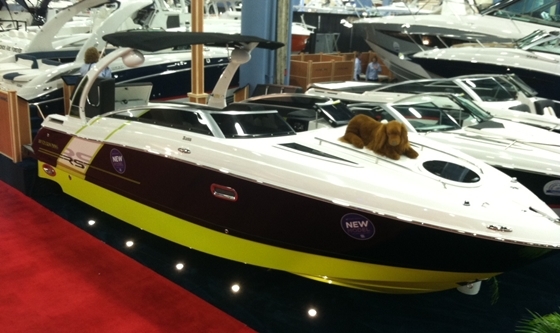 They've long been known for innovation, having invented the stern drive in the first place, then being the first to bring pod drives to the recreational boating market. And pod drives work on the same propeller-forward principal as the Forward Drive. 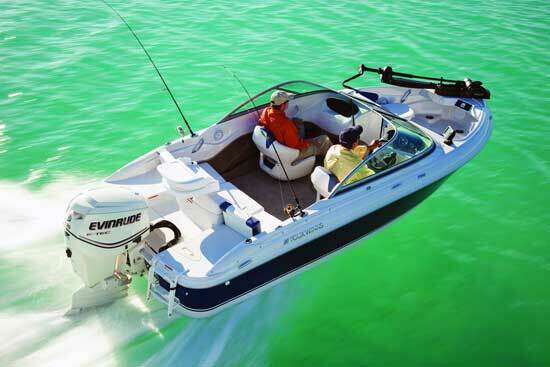 Wait a sec—can you really just bolt on a new kind of lower unit, and call a runabout a wake surfing boat? Nope. 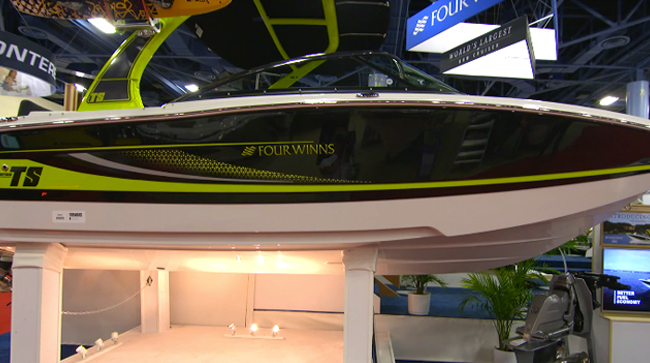 Four Winns also modified the hull, and more importantly, they outfit the TS222 with some wave-enhancing features. You got a good look at the effect of the surf tabs in the video. 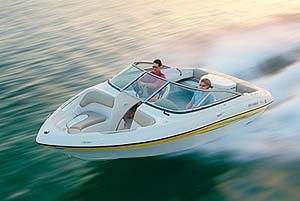 What's tougher to see is that the wake is being boosted by a 1,300 pound ballast tank. Then to make the boat even better for surfers, Four Winns added a tower with board racks, Zero Off speed control (which maintains an ideal wake-making speed without throttle adjustments), and of course, a kickin' stereo system. Yes, this is a true watersports boat—the first with a stern drive. To learn more about it, be sure to read our full review of the boat, Four Winns TS222: Stern Drive Wake Surfing. Or visit Four Winns for more info.